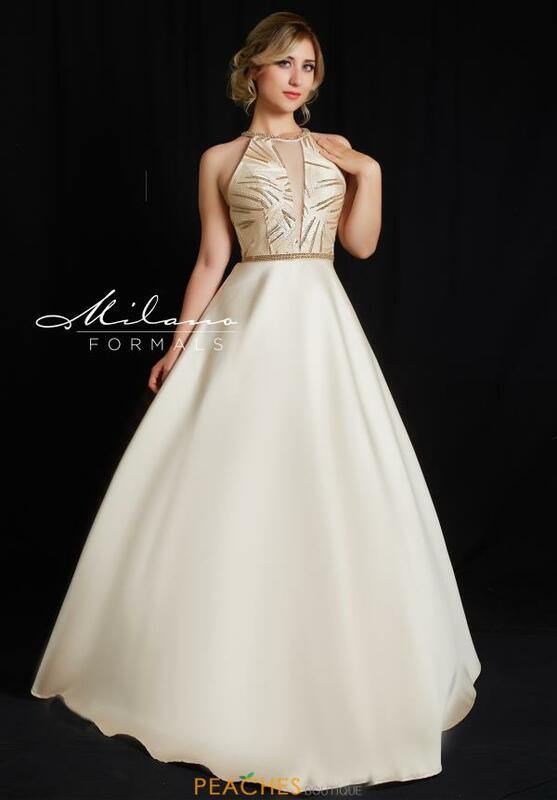 Regal prom dress E2705 by Milano Formals is a perfect choice for any girl who wants to makes a lasting impression. This intriguing style showcases a high halter neckline with an illusion v neckline and an a line skirt. The bodice is embellished with radiant stones that add the perfect amount of sparkle. The back of this dress features a stunning open back cut out. For more styles visit Peaches Boutique in Chicago.